children, published by Cosmos Publications Ltd, Dhaka in 2004. He had been an editor of the Encyclopaedia of Flora and Fauna of Bangladesh and an author of Environment of Capital Dhaka, both published by The Asiatic Society of Bangladesh, in 2008 and 2010 respectively. Haque is a member of the Wildlife Advisory Board. 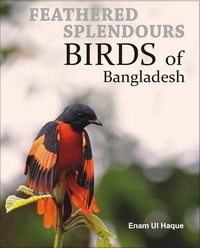 He founded the Bangladesh Bird Club and the Bangla Mountaineering and Trekking Club. Major exhibitions of his photographs were held in Singapore, Iran, and Indonesia. His visits abroad include Antarctica in 1997 and North Pole in 2007.